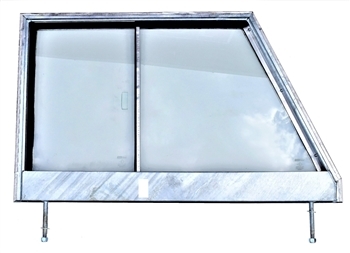 Hot dipped galvanised Series 3 fully glazed door top to fit series 3 models between 1971-1985. The very best Series door tops on the market. Our Door Tops are the best fitting items are manufactured by us. We are not a middle man! We take a lot of time and effort making our doors as accurately as possible and pay a lot of care and attention to detail they could easily be mistaken for original items. The frame is hot dip galvanised giving it a thick coat of zinc on both the outside & inside so will last a very long time. 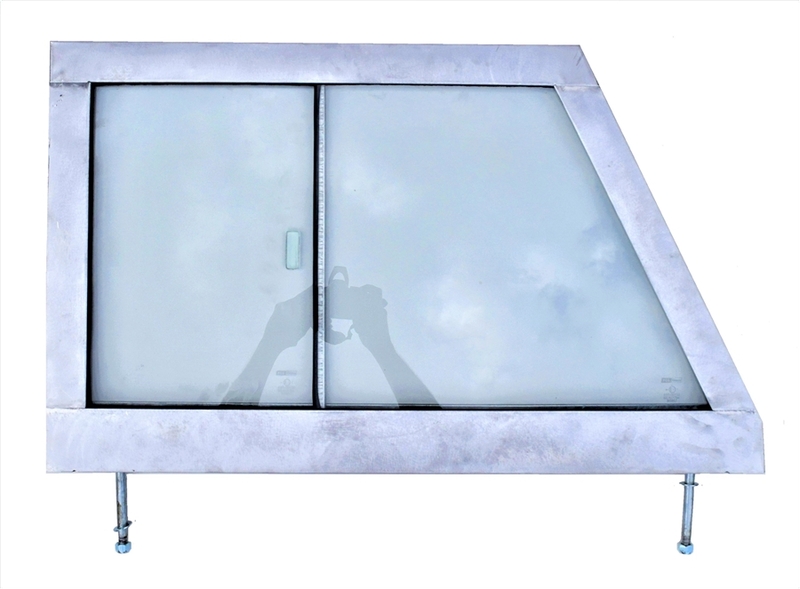 Standard door tops on the market have a bare steel frame clad with a bare alloy skins and always show signs of rust after only a very short amount of time. 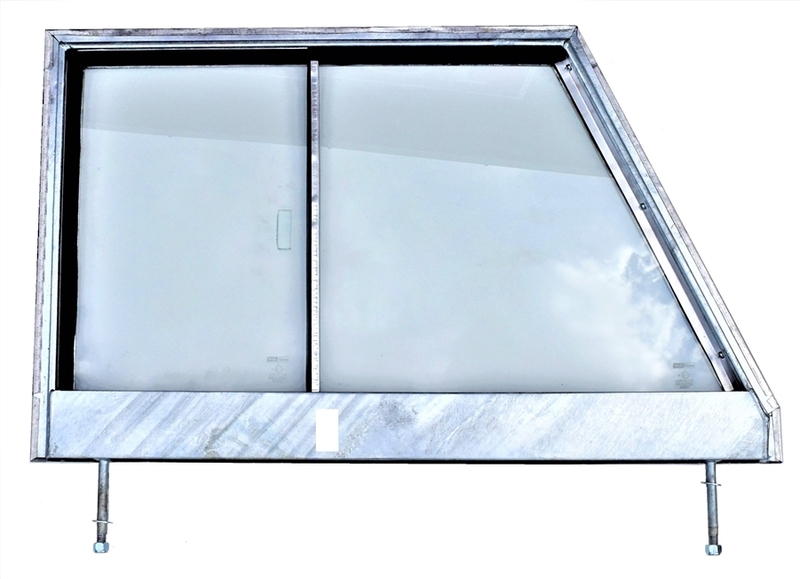 With our high quality galvanised units you will only need to replace these once. We feel with the price and expectations of old Series Land Rover models going up that they now deserve the very best parts fitting to them and fitting galvanised units is the only way to go. Gone are the days of fitting cheaply made "bare frame on bare skin" doors which let any paint job down after only a few years. The threads are free from zinc, so no re-tapping of threads and are a ready to bolt on door top. We are sticklers for attention to detail and even the studs are made with the correct 7/16th UNF thread as per original spec and not a cheaper M12 thread as with others on the market. Comes with 2 washers & 2 7/16th nuts to suit. Comes in bare hot dipped galvanised finish so before painting you will need to use mordant solution or t-wash to prime the surface first before painting..